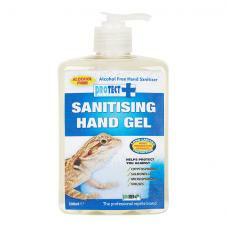 Thisl cleaning disinfectant for has been designed for reptiles in mind; it is unscented and does not contain any phenols, which can harm your reptiles. This disinfectant helps to keep your pet and family’s environment healthy by preventing cross-infection, along with killing bacteria and salmonella. 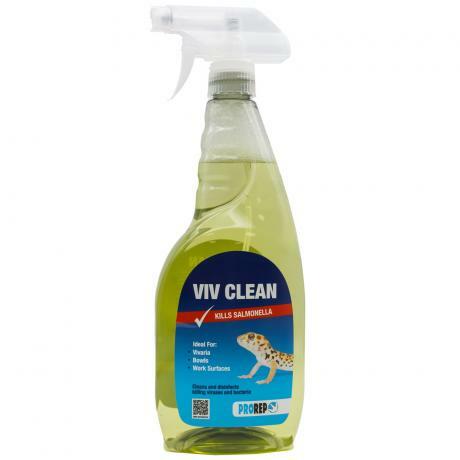 Viv-clean is used to both clean and disinfect water and feed bowls, utensils, vivaria, enclosures, carpets, floors and all hard surfaces around the home. It will not stain or corrode and is readily biodegradable. DIRECTIONS: Use as supplied. Remove waste matter and substrate before use. Spray surface, wipe or scrub to clean in the usual way, repeat if required. Rinse all surfaces thoroughly, then dry before re-use.